Aspin have been attending Spring Fair for over 30 years. In that time, we’ve got to know lots of exhibitors and learnt the do’s and don’t’s of exhibiting at tradeshows. 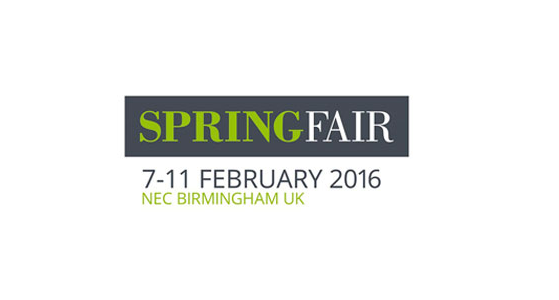 If you are interested, read on..
With the 2016 International Spring Fair at the Birmingham NEC being the Show’s 40th anniversary, it has prompted Aspin’s Chairman John Aspin to reflect back over the many Februarys since 1976, during which time he has been associated with the annual Spring Fair show and the Giftware and Housewares trade sectors. From their offices in Newmarket, Mr Fothergill’s distribute seed to garden centres, shops and retail outlets. They chose Aspin as their vendor to provide an order taking system for their sales reps. Mr Fothergill’s upgraded from MiniSell to PixSell iPad ordering and have been extremely pleased with the results. Happy New Year everyone! I’m sure this morning was a shock to the system as you arrived at work after a week of merriment and/or vegetation – the tea and coffee are certainly flowing at the Aspin offices today!